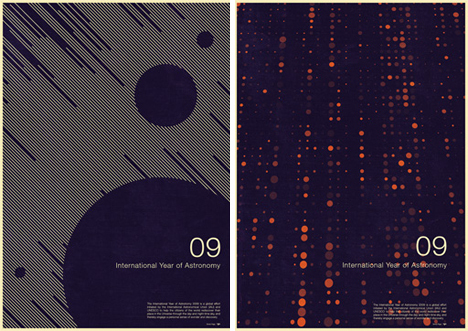 These posters advertising the International Year of Astronomy 2009 are truly works of art. Would you believe they were created by an amateur as a personal project? 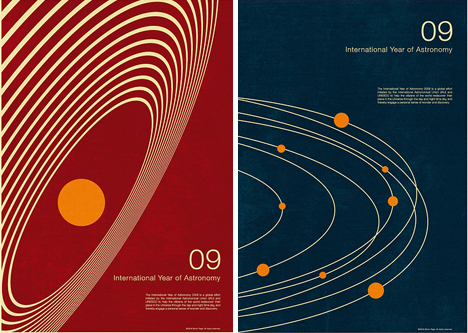 The IYA 2009 was coordinated by the United Nations as a year-long celebration of astronomy culminating with the 400th anniversary of Galileo’s invention of the telescope. When mathematician Simon Page heard about the event, he was so inspired that he created some promotional posters on his own. IYA 2009 staff spotted them, loved them, and the rest – as they say – is history. Simon Page has always had an interest in art, according to an interview he did with Grain Edit; however, his formal training is in mathematics. His design skills are completely self-taught and lean heavily on math. Using what makes the most sense to him – numbers – he creates logical, practical shapes in arrangements that just happen to be extremely pleasing to the eye. 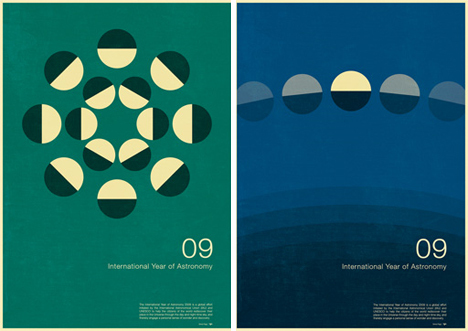 Their simplicity is reminiscent of 1960s minimalist art, but they are teeming with a lively enthusiasm. He believes, and probably rightly so, that most designers rely on math to create their best work – even if they don’t realize it. Though his background is in math and programming, Page’s design work has been drawing increasing attention from around the world. His posters have been featured in the New York Times and Creative Review, and he was offered an interview with Disney for some (again, self-initiated) promotional posters he created for the upcoming Tron sequel. His Flickr stream has also been getting considerable traffic, especially his weekly Alphabattle contributions. 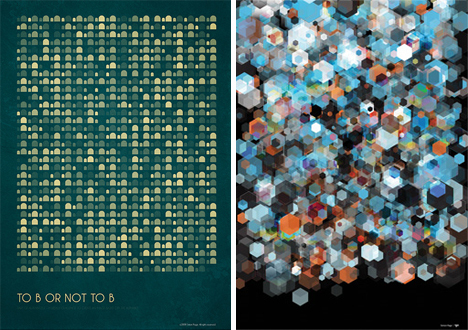 Page’s passion may be for math and patterns, but his growing catalog of design work is truly impressive. As for what’s ahead for the designer, he is selling prints on his website and even venturing into t-shirt design, among other projects. We can no doubt look forward to a handful of surprises from this self-taught artist in the coming months. See more in Digital Design or under Technology. January, 2010.